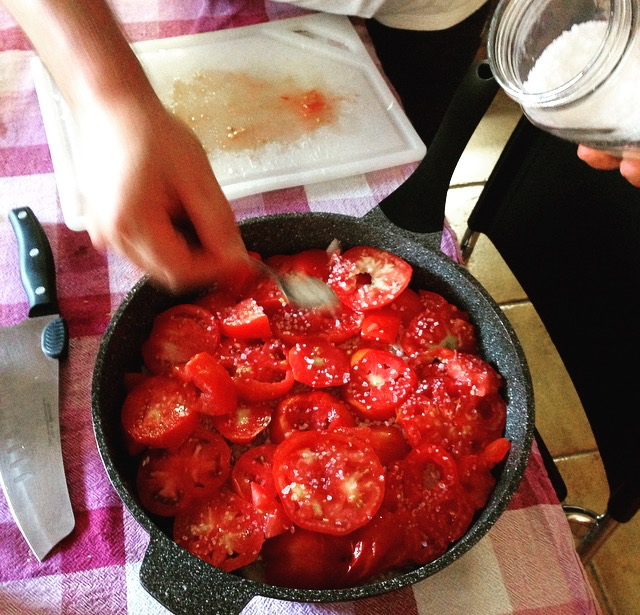 The other day I had told him that his sister, Bruna was going to teach me how to make homemade tomato sauce and it was then he invited me to his home to teach me how to make “Pappa al Pomodoro” Being the curious person that I am, I looked it up and was a bit confused as it is a Tuscan dish and I thought I would be learning some traditional Venetian recipes passed down from generation to generation. Vittorio called me bright an early at 8 am and told me to “come on over” and that he’s all ready. 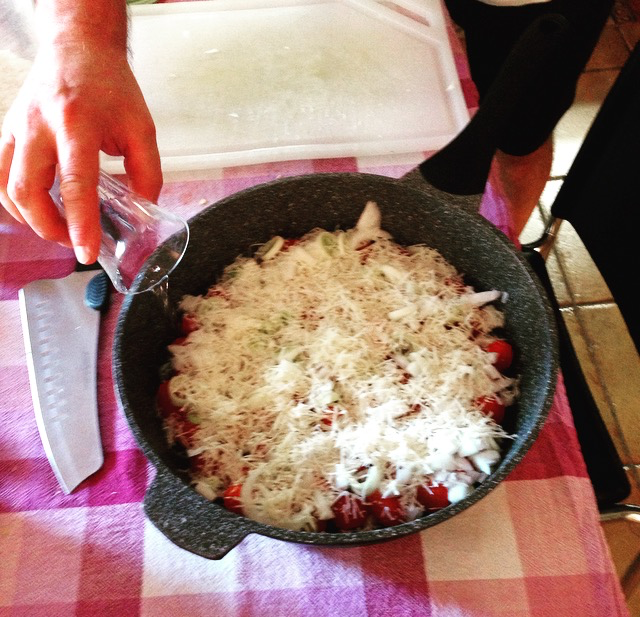 I decided to take a LOT of photos of the step by step process of how to make Pappa al Pomodoro with a Venetian twist. As for me. when I am learning a new recipe, I prefer photos. 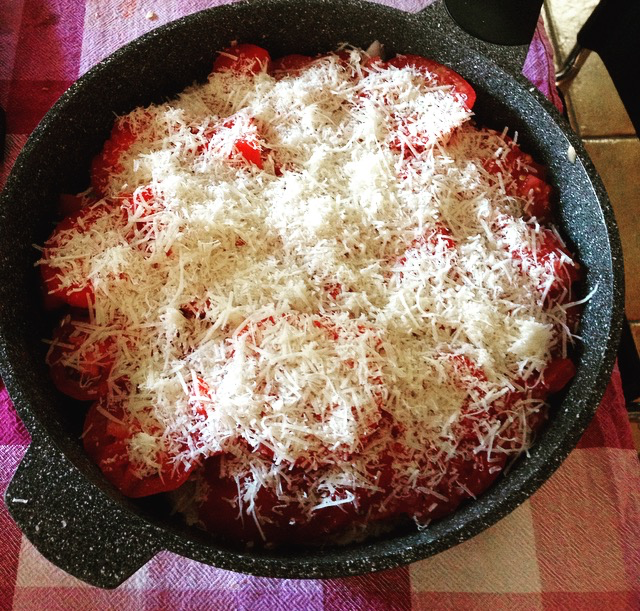 Grana Padano – freshly grated. 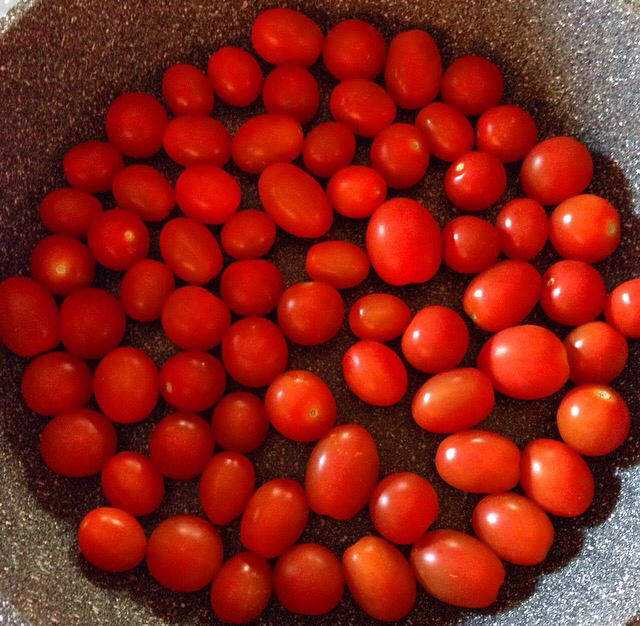 Home grown tomatoes from Vittorio’s garden. 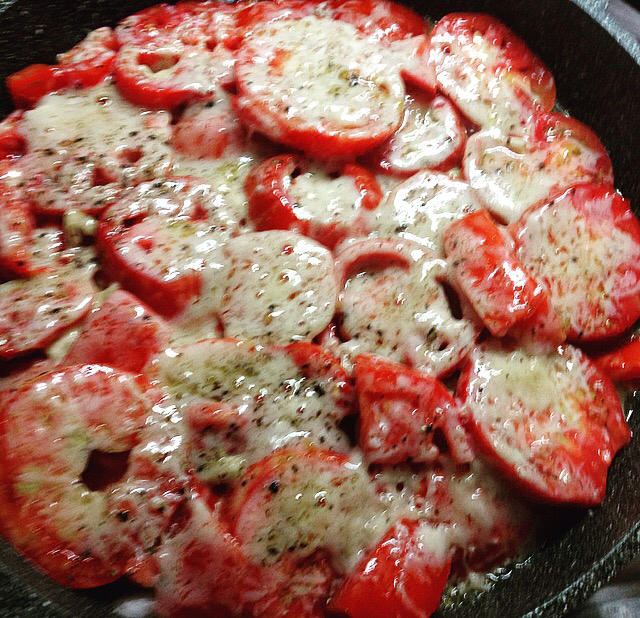 First step ~ Fill the bottom of your pan with either cherry or datterino tomatoes. Make sure they are mature. 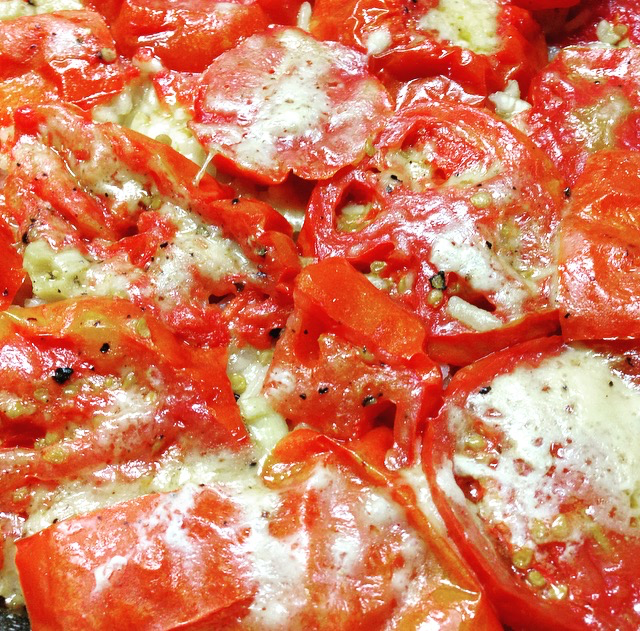 The redder the tomato the better. 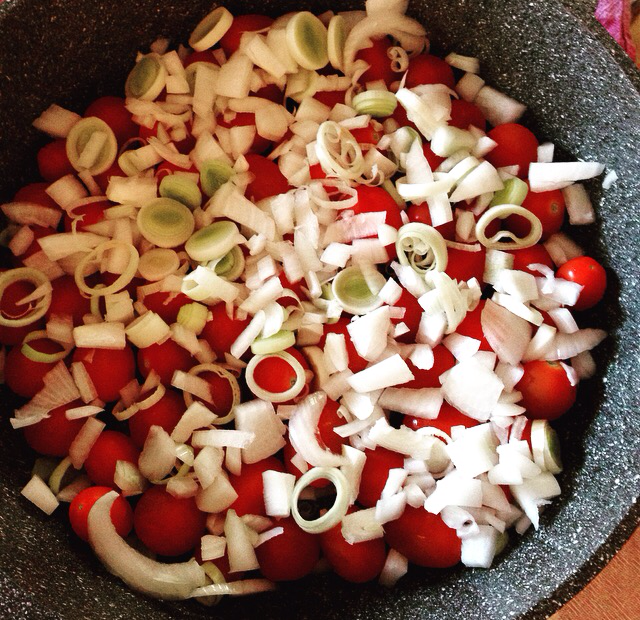 Sprinkle the cut leek or porro over the tomatoes. 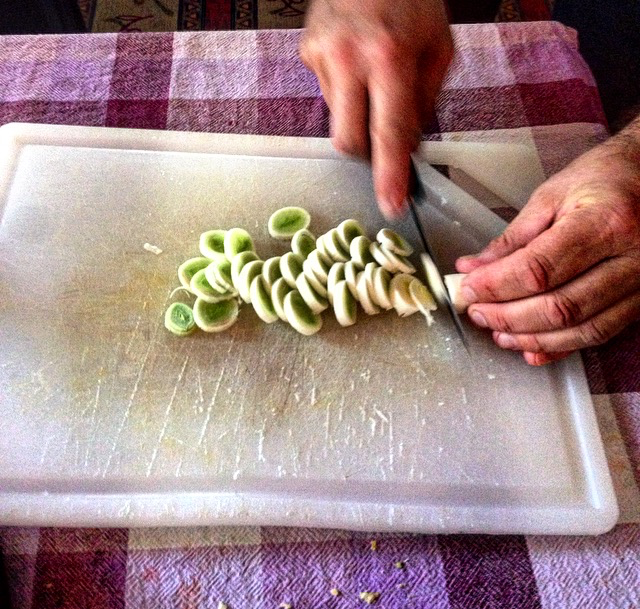 Here is Vittorio chopping a white onion. 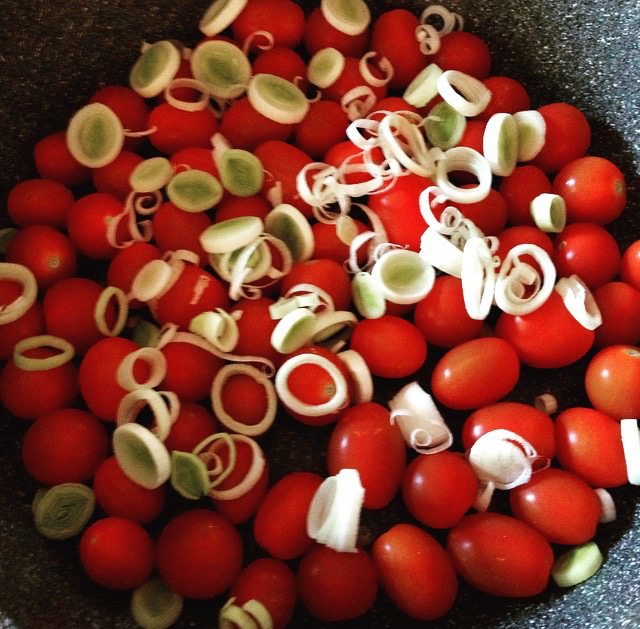 Sprinkle the chopped white onion over the tomatoes and leeks. 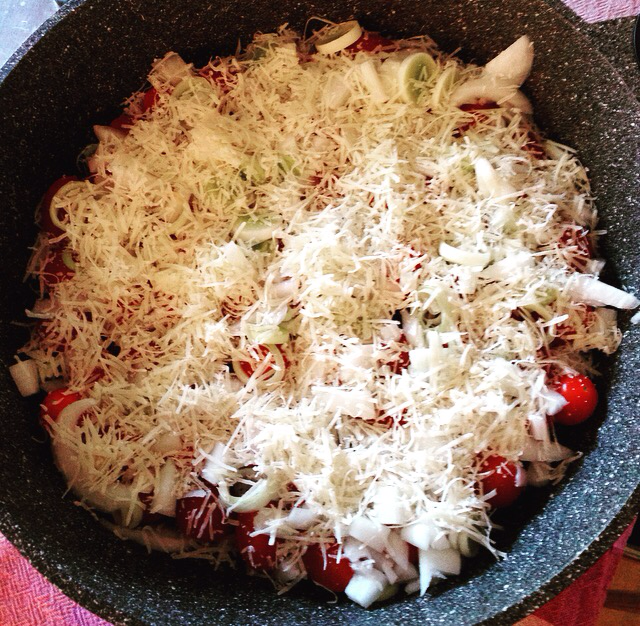 Add freshly grated grana padano cheese. Add 80 ml of water. 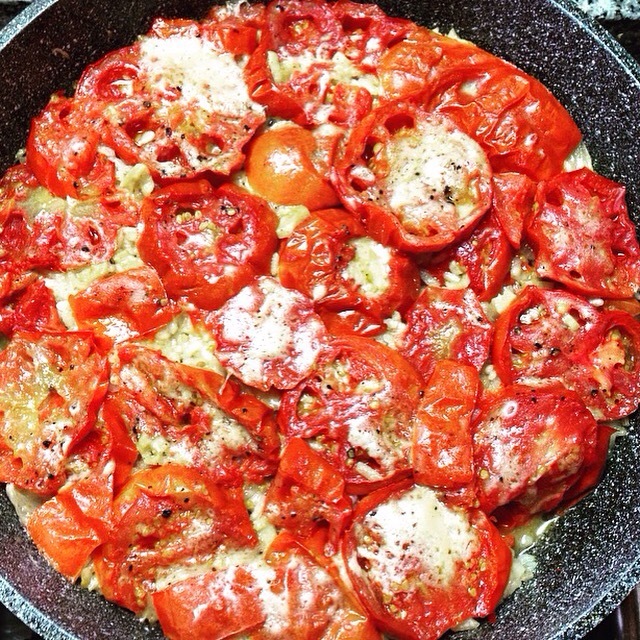 Add five handfuls of riso..
Drizzle Olive Oil on top of the riso and the begin the second layer of tomatoes using cuore di bue. 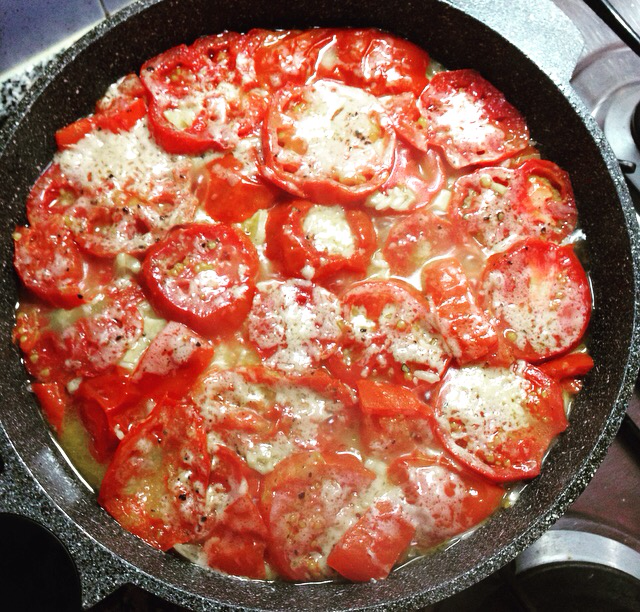 Add enough tomatoes until the pan is completley full. Add mineral salt and three cloves of garlic. 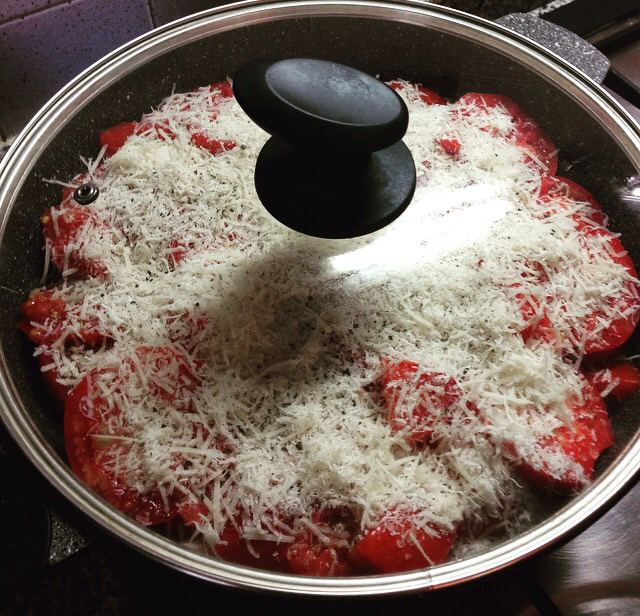 Add more grana cheese, freshly grated. Cover and keep on medium heat.. This is after ten minutes.. I kept checking an interval of ten minutes. It takes about 30 minutes until finished. After 20 minutes you can take the cover off and lower the heat. You want to taste it often to make sure the riso has been cooked. 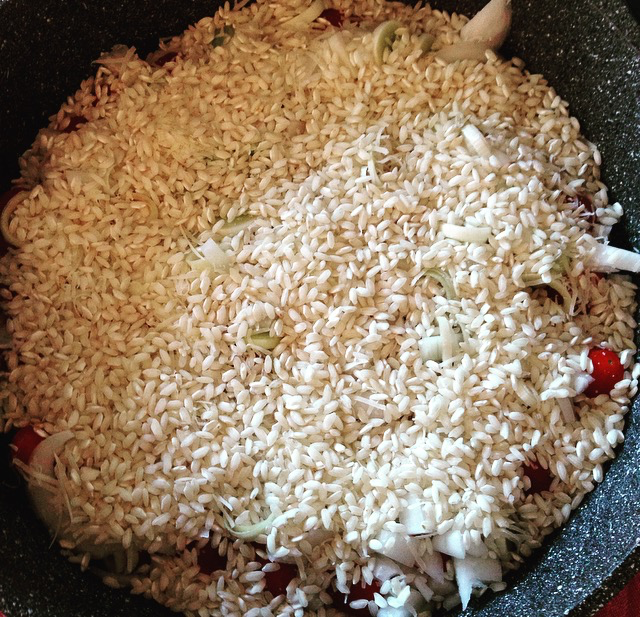 And usually when the liquid has been soaked up the rice has been cooked. After 30 minutes, turn off and serve. Should look like this. 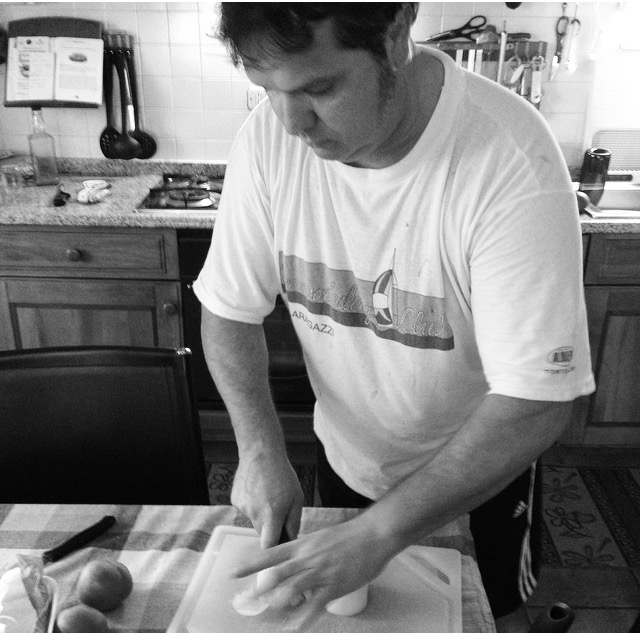 Ladies, anyone interested in a GOOD hearted Italian man who cleans and cooks? 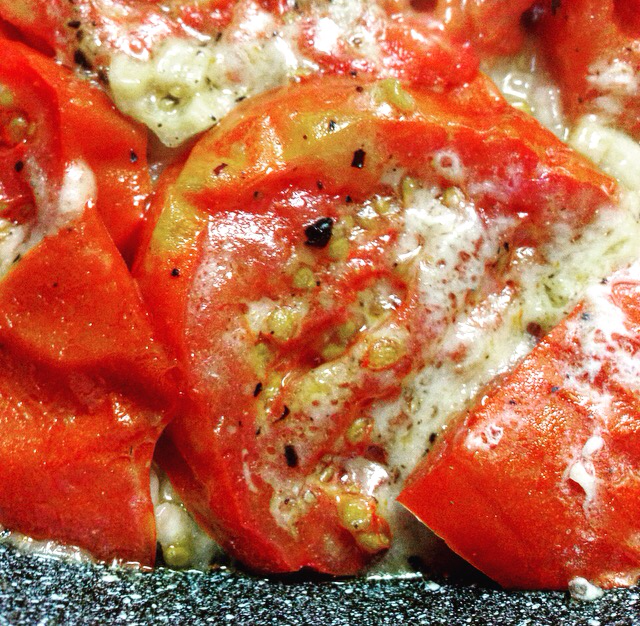 This is a great Summer dish. Affordable, healthy and light. Too bad, he looks to young for me! i remember the very day we were talking and you told me you were going over to learn this dish. thats awesome,Em!!! Wonderful Em! Great pictures too. 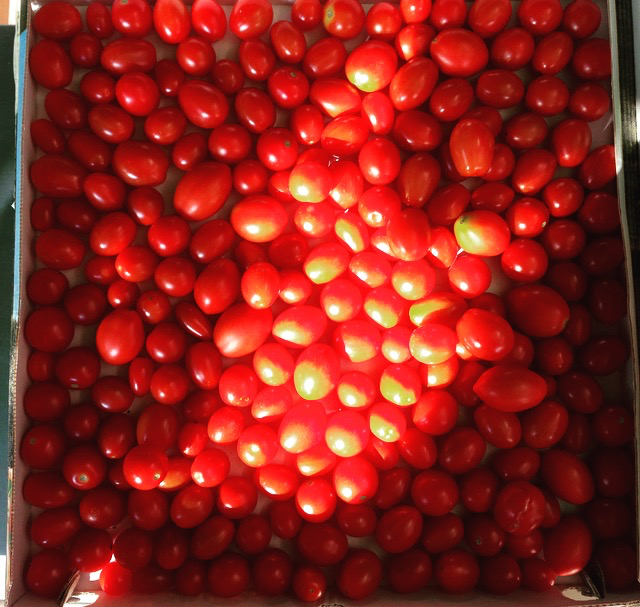 How lucky you are to capture Vittorio’s specialty. Thanks for sharing! fabulous– wonder where he got the name of the recipe. 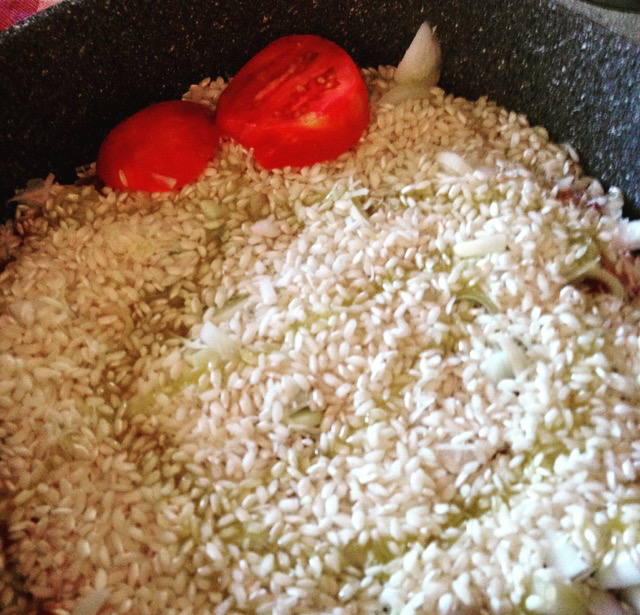 reminds me more of spanish rice recipes! Good morning, I’m not sure, I’ll ask him next time I see him and let you know. Thank you for stopping by.